On this day, June 6 in 1944, the Allied Forces invaded Normandy, France to initiate the destruction and surrender of the German war machine that would end World War II. Eleven months later on April 29, 1945, Germany surrendered and on August 15, 1945, Japan surrendered ending WWII. War remains. Pray for Peace. 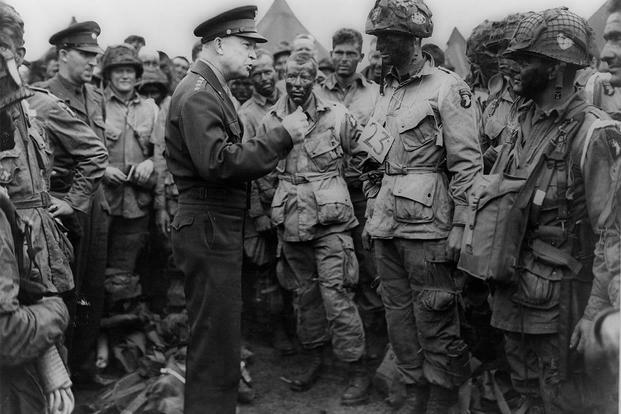 “You are about to embark upon the Great Crusade, toward which we have striven these many months. The eyes of the world are upon you. The hopes and prayers of liberty-loving people everywhere march with you. 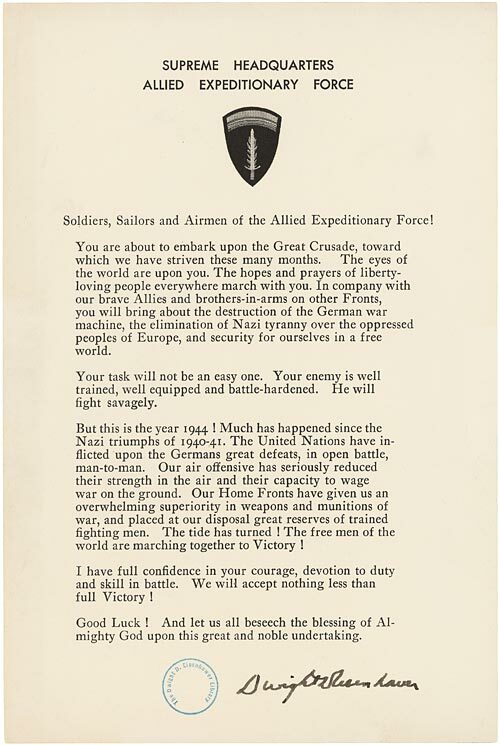 In company with our brave Allies and brothers-in-arms on other Fronts, you will bring about the destruction of the German war machine, the elimination of Nazi tyranny over the oppressed peoples of Europe, and security for ourselves in a free world. “Your task will not be an easy one. Your enemy is well trained, well equipped and battle hardened. He will fight savagely. Forty-six years have passed since over 425,000 Allied and German troops were killed, wounded or went missing during the Battle of Normandy, yet war continues to plague humanity. If you do nothing else this day, pray for the end of war… pray for peace. Thanks for this reminder. Pray the Prince of Peace to come quickly.